Gold exchange-traded funds (ETFs), such as the SPDR Gold Shares (NYSEArca: GLD) and SPDR Gold MiniShares (NYSEArca: GLDM), have recently given back some first-quarter gains and are close to being merely flat on the year, but some market observers believe it is just a matter of time before the yellow metal soars again. Looking ahead, gold demand may continue to rise as investors look for this physical asset as a stable holding in times of turmoil. Artigas pointed out that we might have to contend with financial market instability, monetary policy changes, U.S. dollar fluctuations and structural economic reforms ahead. 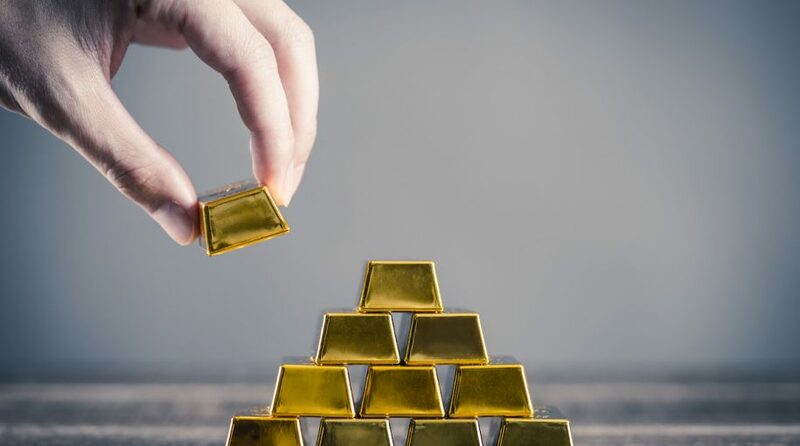 Additionally, during periods of growth or economic expansions, there has also been increased gold demand from jewelry, technology and long-term savings. “Look at the chart on gold, it’s broken above its trend line going all the way back to those 2011 highs. That’s very positive,” said Miller Tabak equity strategist Matt Maley in an interview with CNBC. GLD, the world’s largest gold ETF, currently resides slightly above its 200-day moving average but almost 6% below its 52-week high. GLD is the largest and most heavily traded gold ETF, offering strategic, long-term investors relatively low entry and rebalancing costs, plus robust optionality. GLDM is designed to offer the potential benefits of a long-term, strategic allocation to gold — for less. With an expense ratio of just 18 basis points, GLDM offers the pure buy and hold investor a lower share price and lower holding costs. Maley said in the CNBC interview that the key for gold is $1,360 to $1,380 per ounce. “Gold would need to rally 6 percent to get back to $1,380. It last traded above those levels in mid-2013. On Thursday, the yellow metal was down more than 1 percent, hovering around $1,300,” according to CNBC. For more news and strategy on gold ETFs, visit our gold category.